According to a pre-crash transmission recording, the pilot of the chartered plane carrying Brazilian football club Chapecoense announced that the plane was running out of fuel. 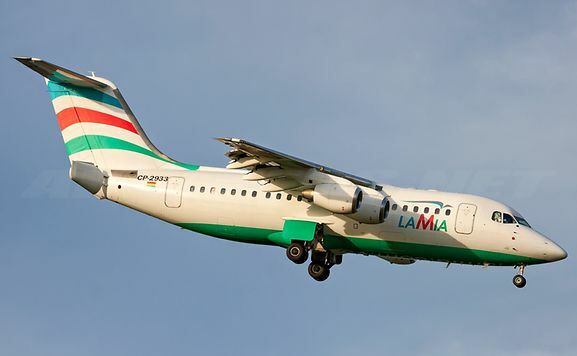 The crash of the Avro RJ85 plane operated by Bolivia’s LaMia happened on the night from the 28th to the 29th of November, killing 71 out of 77 people on board, including the majority of the Brazilian team that was heading for the Copa Sudamericana final game to Medellin, Colombia. Besides the recording, another piece of evidence (or rather lack thereof) is the absence of fuel traces at the crash site. It is quite common for aircraft to explode upon impact, which did not happen with that plane. The fact that the fuel tanks were empty might be the reason why six people survived the crash.